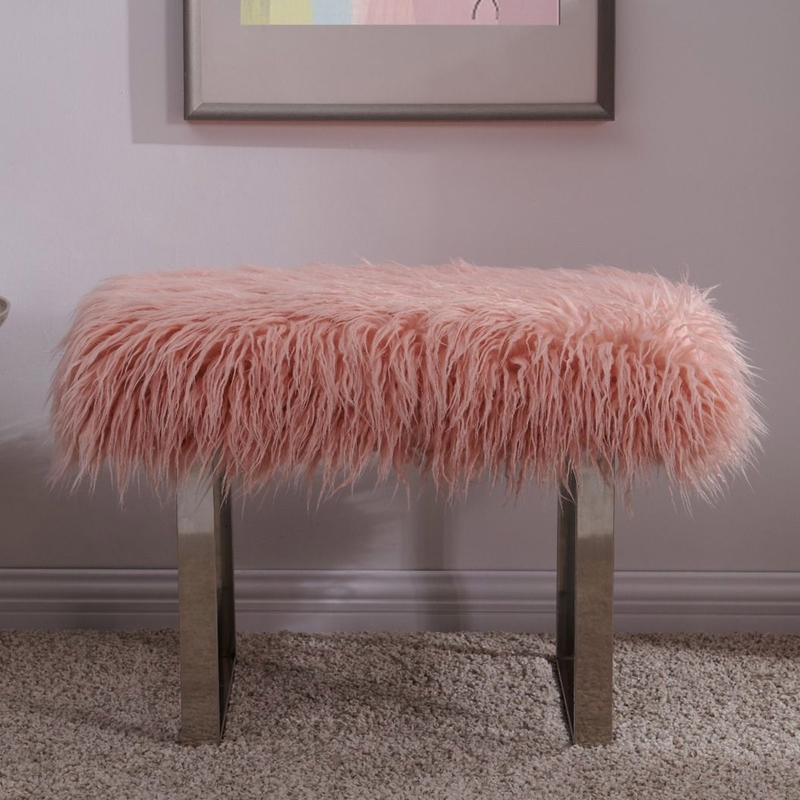 We are very proud to introduce this wonderful Pink Heavy Shag Faux Sheepskin Bench. It has a beautiful design that'll be sure to stand out and grab attention, whilst making any home feel a lot more furnished. The wonderful Heavy Shag Faux Sheepskin material looks very warming, and is complemented by a charming pink colour.